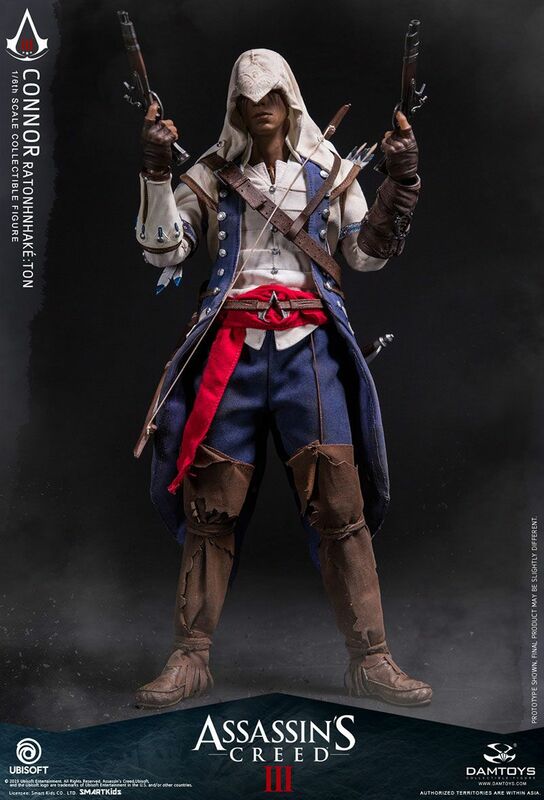 Damtoys has specially chosen to use a 31cm tall, highly poseable body based on the character's shape and proportion. 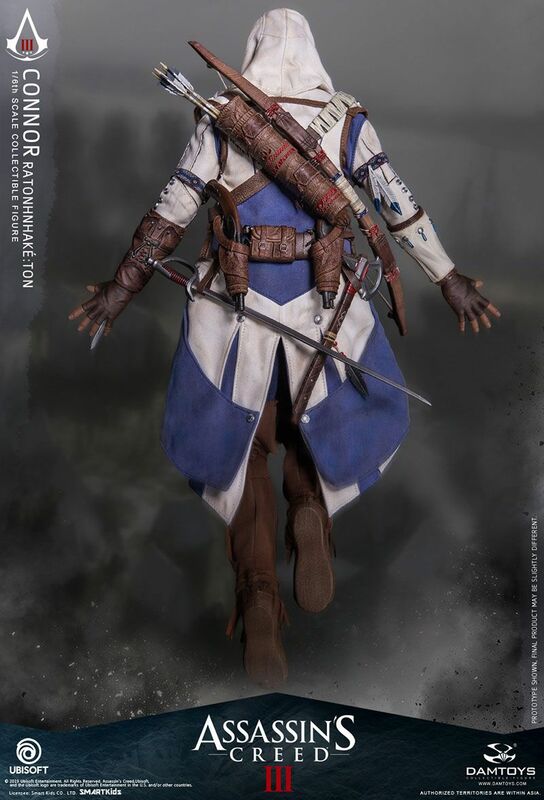 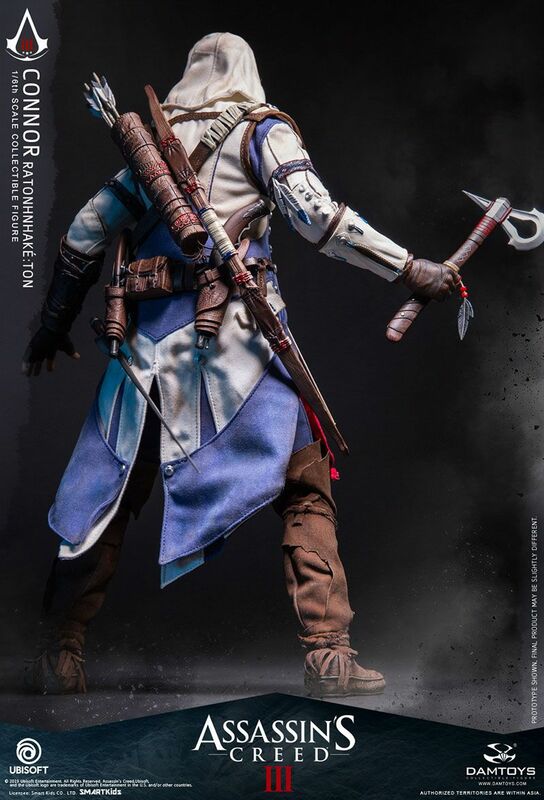 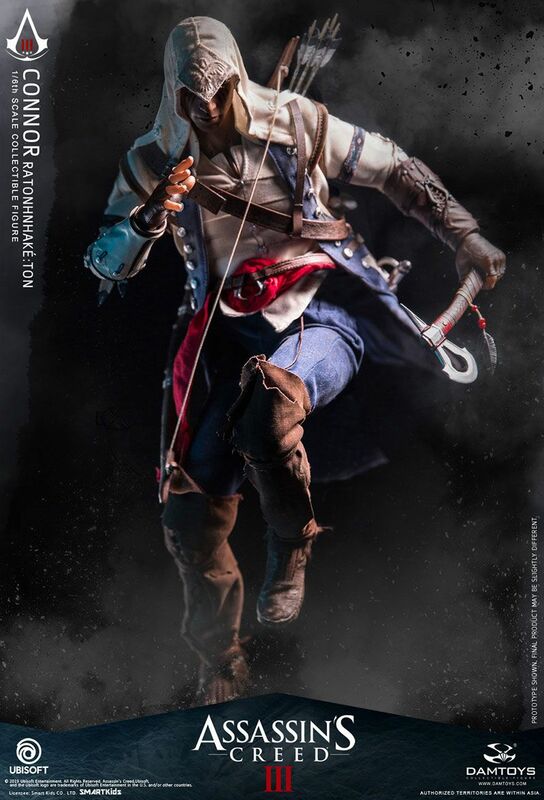 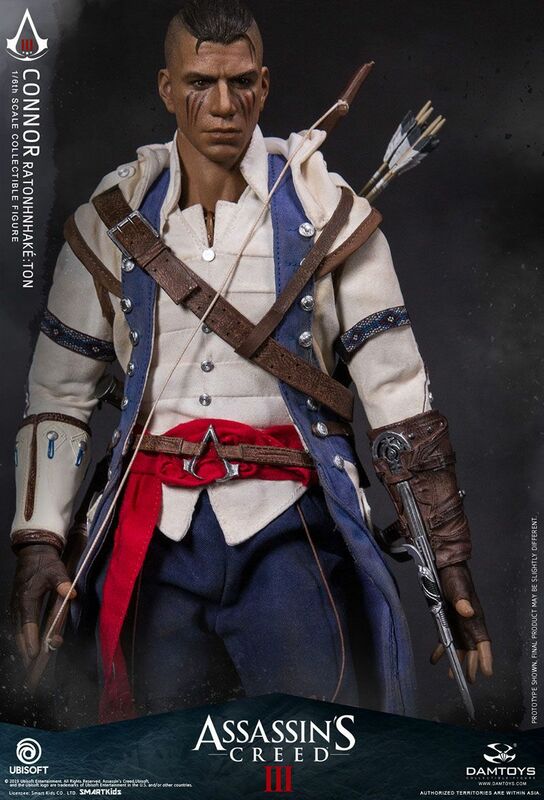 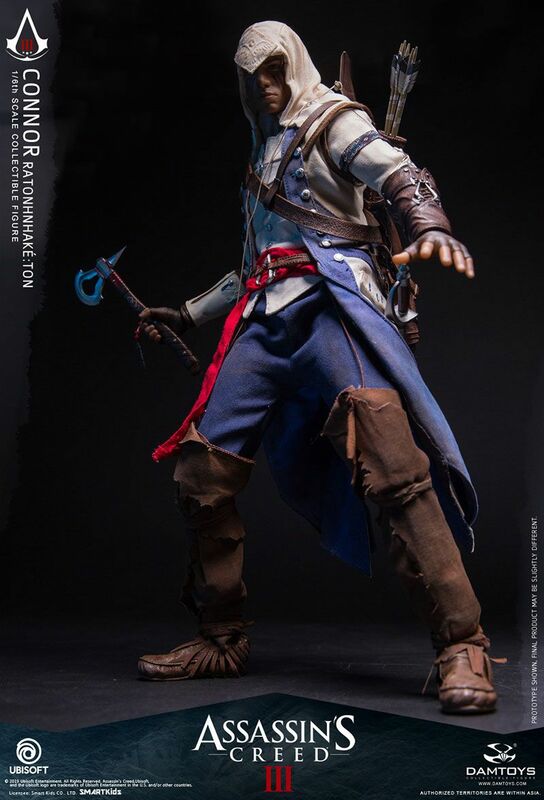 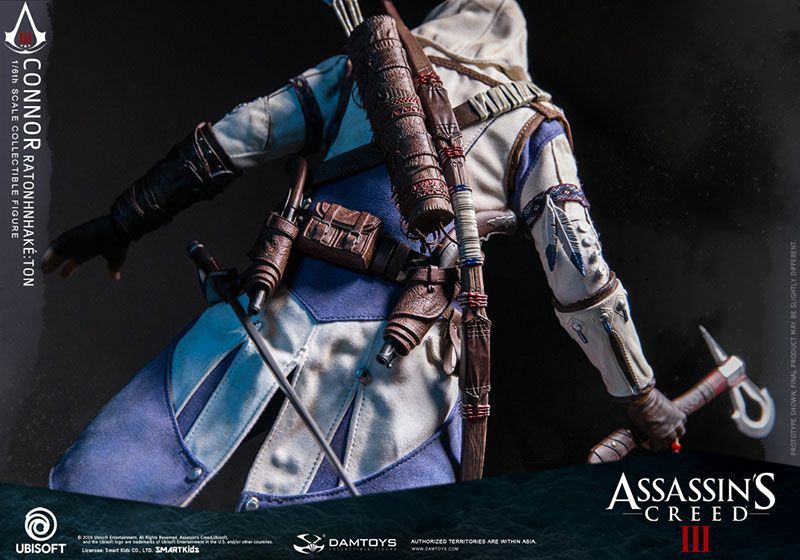 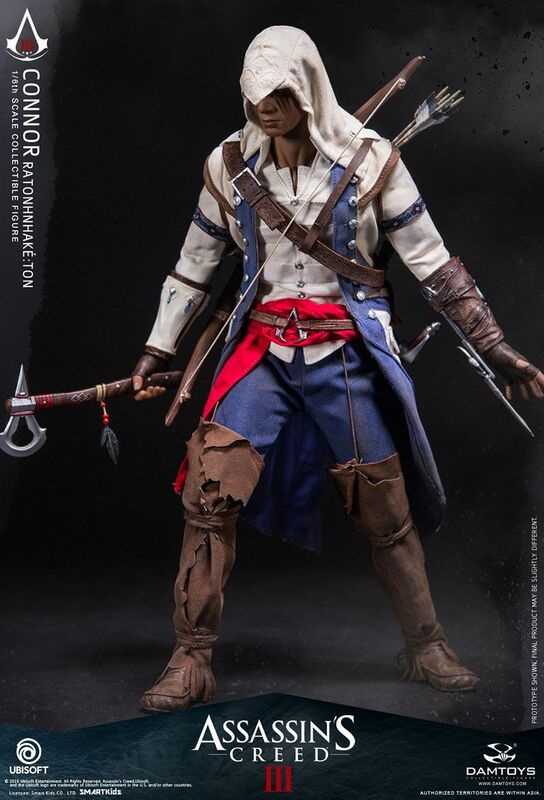 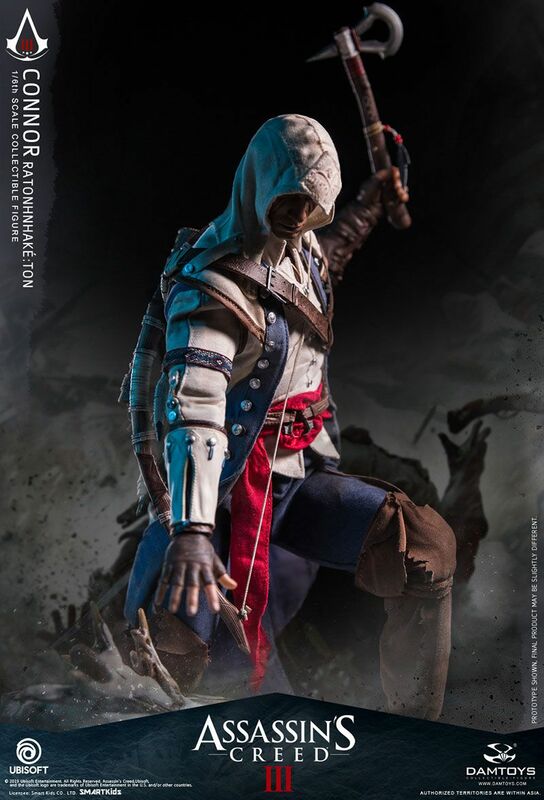 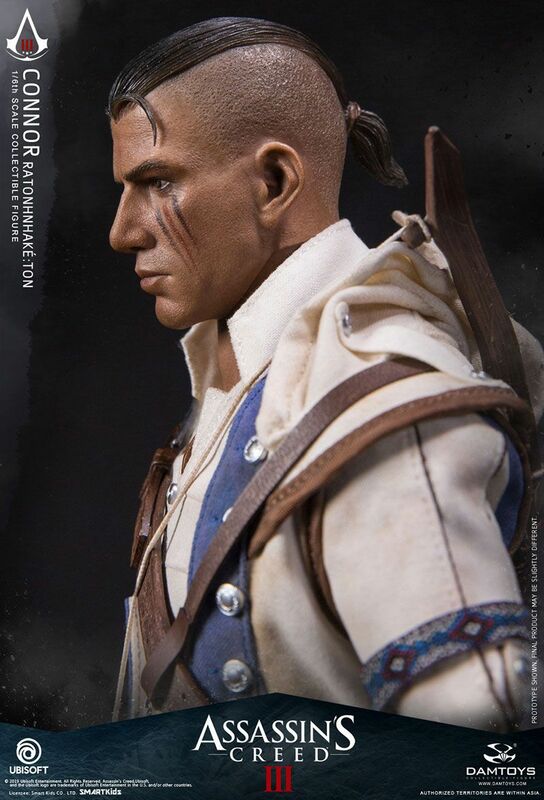 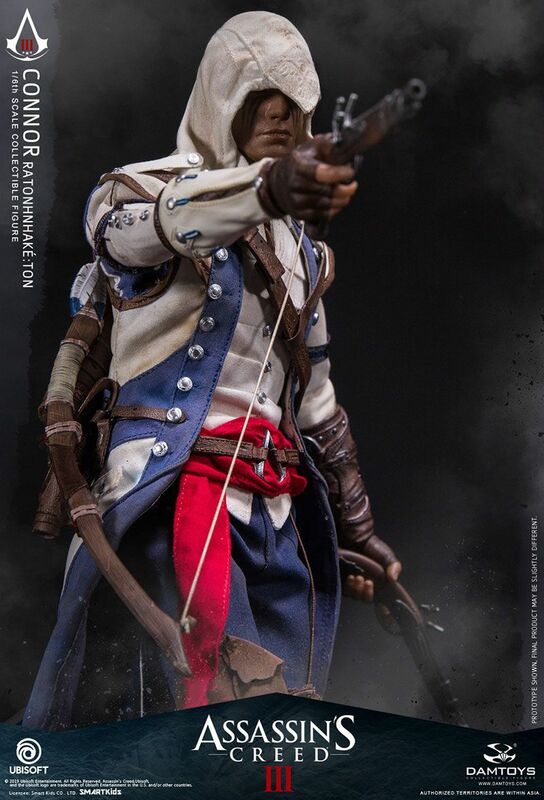 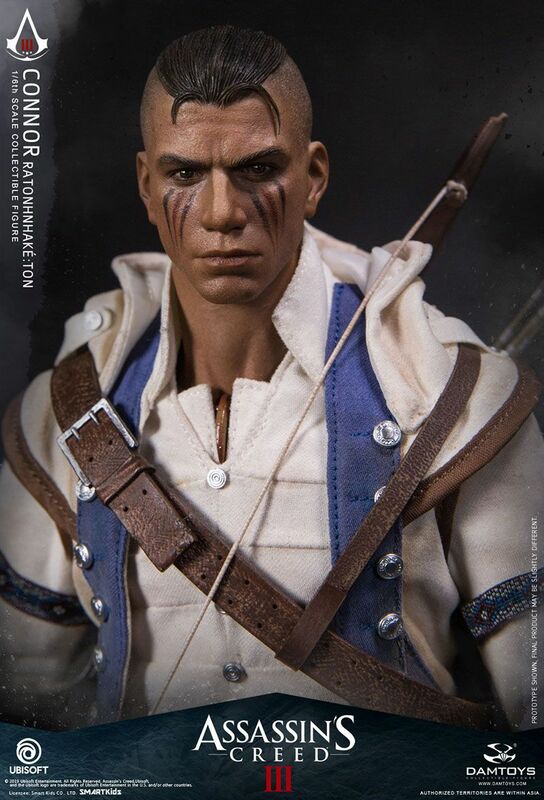 It has an all-new head sculpt crafted in great likeness based on the character's facial expression to capture his aloofness; a carefully created long blue and white Assassin robe; and an equipment kit. 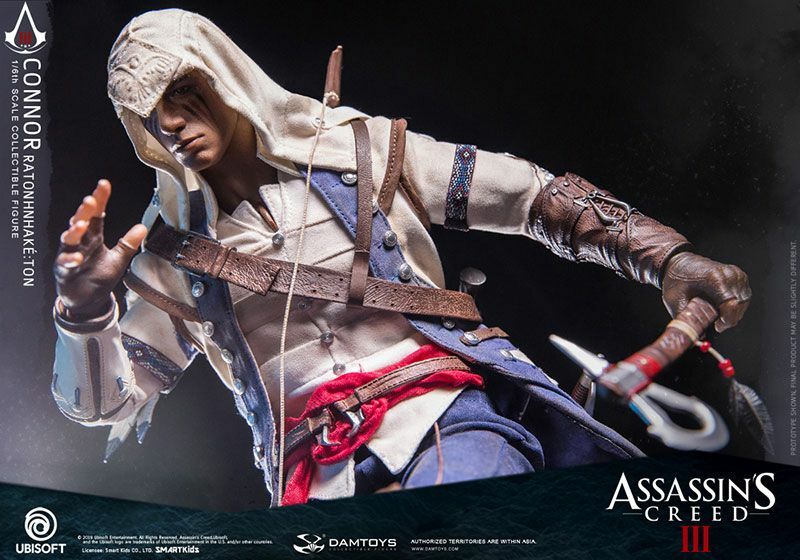 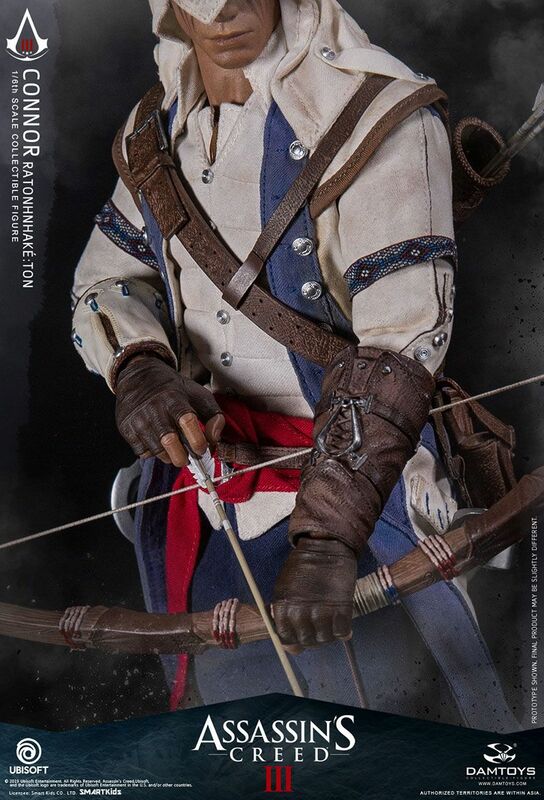 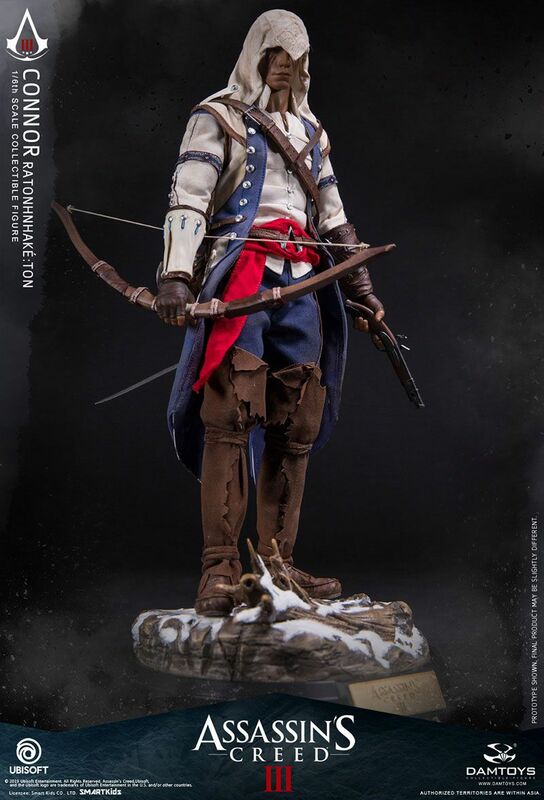 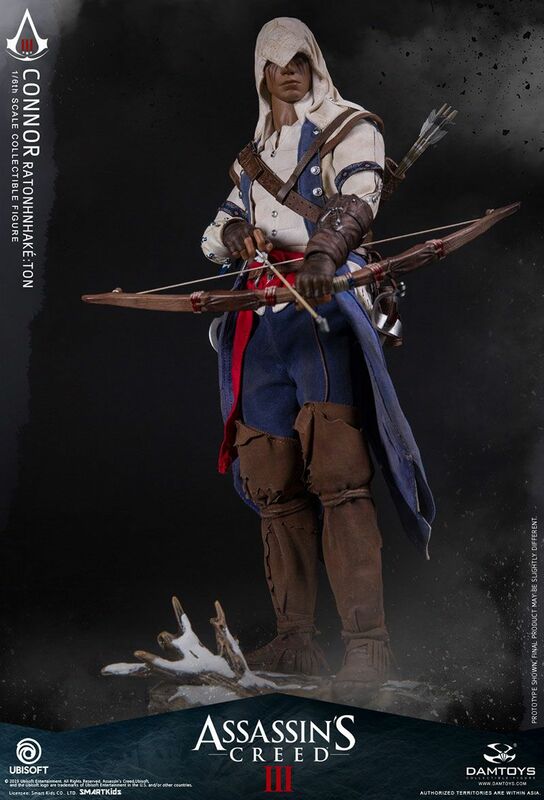 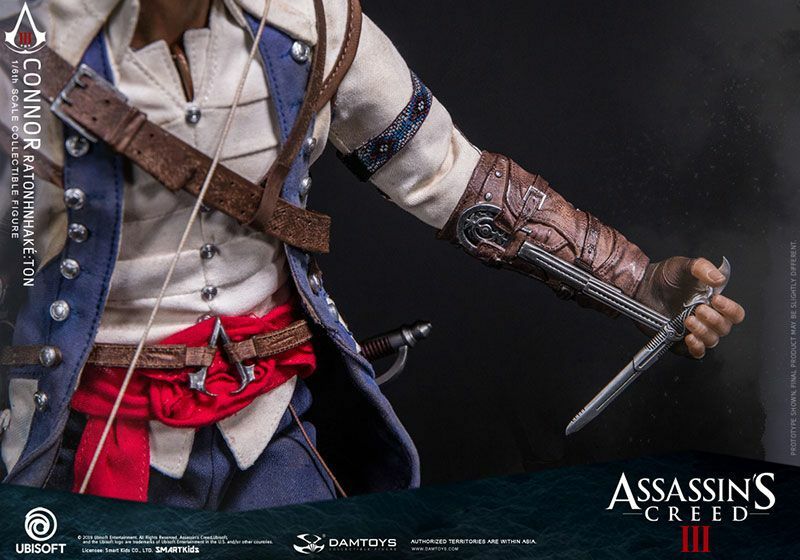 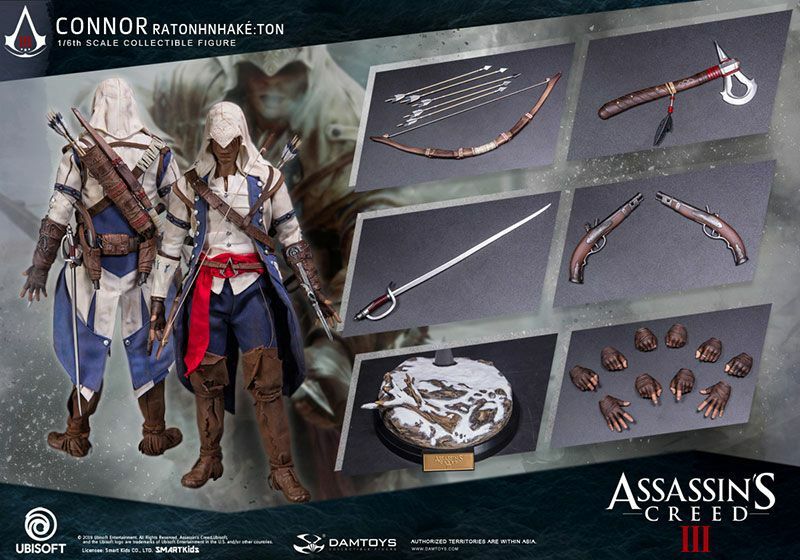 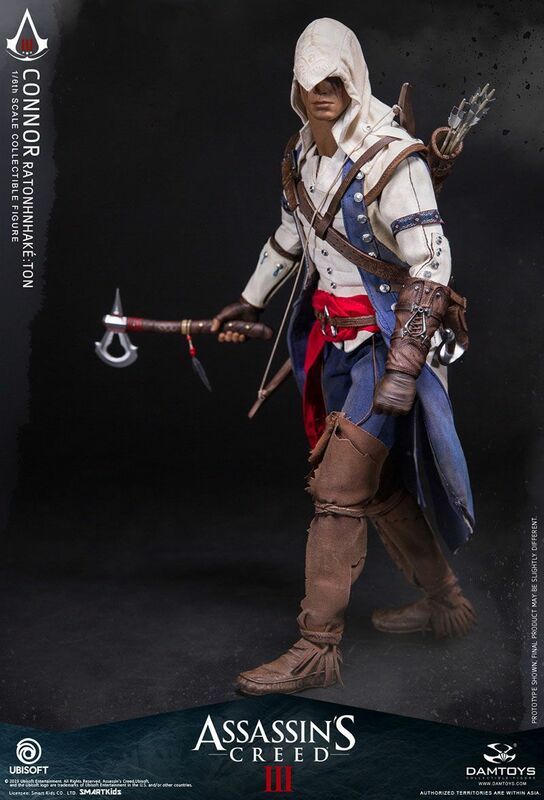 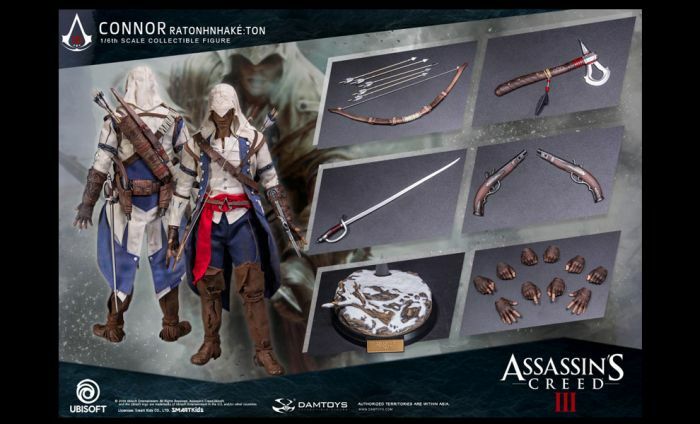 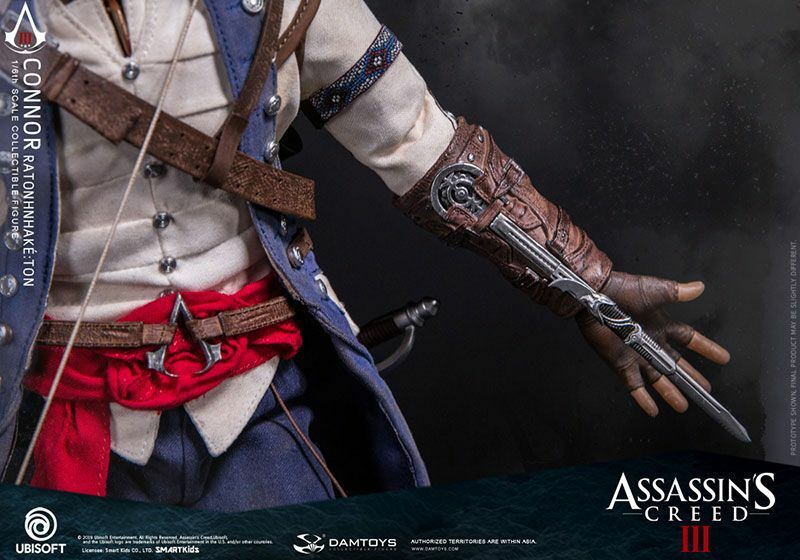 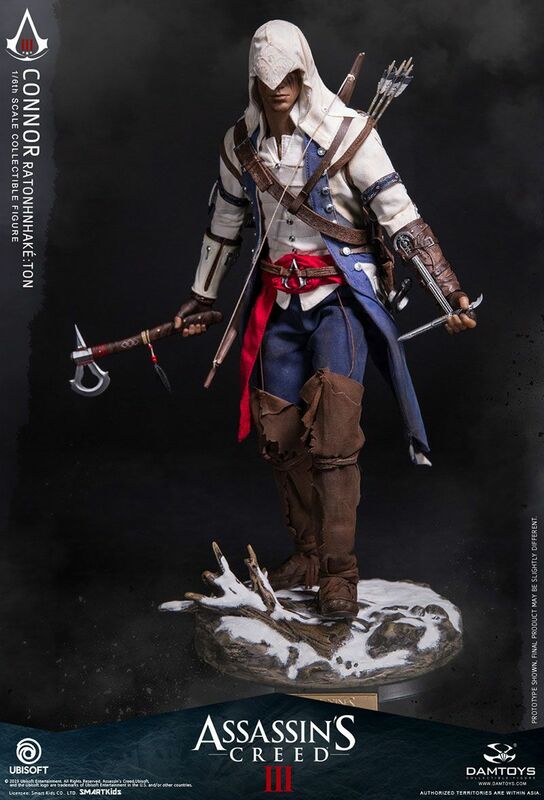 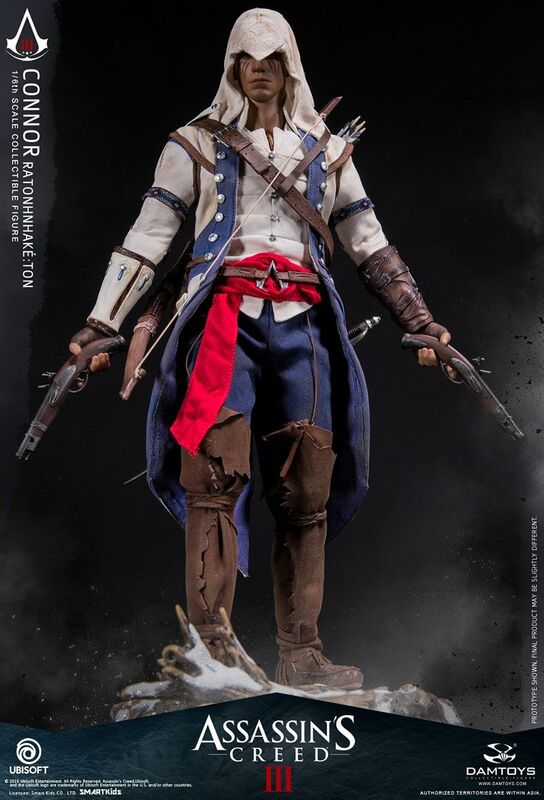 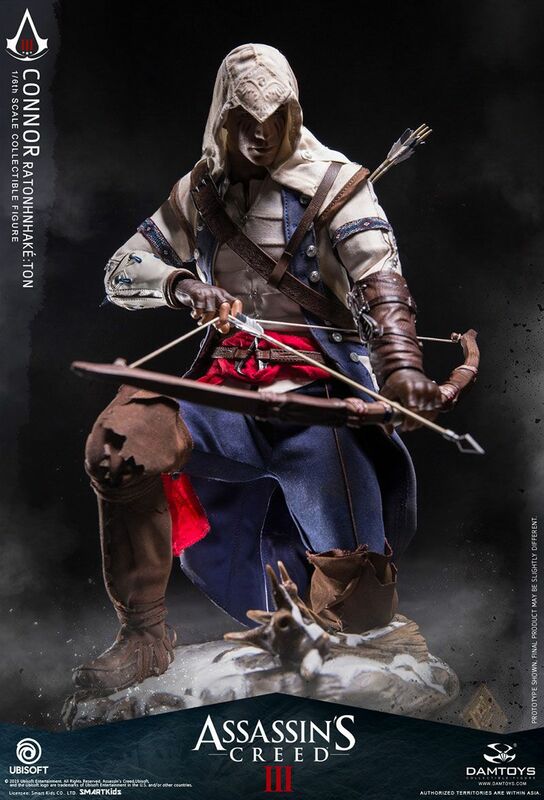 The wide array of weapons and accessories includes a longsword, A tomahawk, a bow, five interchangeable arrows, Hidden Blades, two pistols, multiple pairs of interchangeable hands, and a dedicated snow figure stand with printed game logo.